Our spring speaker will be from the ‘home team’. Inspector Rumble, head of the bi-borough parks police force, has agreed to tell us what lies behind the police presence in Holland Park; and I suspect we are in for a few surprises as the issues faced by the parks police team are extraordinarily varied, all faced with calmness and practical solutions. 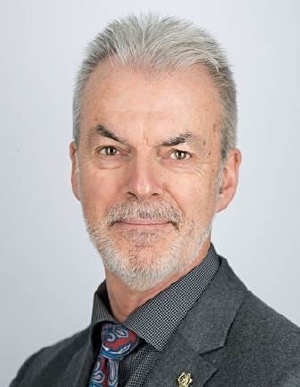 Mike Rumble manages the Parks Police Service for two London Boroughs, Kensington and Chelsea, and Hammersmith and Fulham, and has done for the past ten years. What extraordinary things he must have seen during that time and what stories he must have to tell. He is infuriatingly discrete, but he often has a twinkle in his eye when regaling us with his experiences. The force hosted the Olympic Torch in Holland Park and facilitated the visit of the Emperor and Empress of Japan in May 2012. The Parks Police strongly believe that a problem-solving approach is the most effective way of reducing crime and anti-social behaviour, so they work with local communities and park users to identify concerns and find solutions. This work has been recognised with a number of prestigious awards in recent years. He has other talents too. He studied calligraphy and heraldic art and has been a member of the Heraldry Society for over 40 years. He designed the new badge when the RBKC and Hammersmith & Fulham forces merged. The design features a London plane leaf. Meet outside the Stable Yard at 9am on the first Saturday of each month. We will have a one-and-a-half-hour stroll through the park looking at birds, plants, butterflies and park management of current interest. There is no charge and all are welcome without booking. No dogs, please, as even well behaved ones on leads disturb the wildlife. We recommend you bring binoculars. At the time of writing (early September) it is not yet clear whether this year is or is not a good one for apples. We need the small green bitter kind that makes your mouth dry up if you bite into a raw one, but miraculously turns into tangy red jelly when cooked. Be assured that we will search for them later this month, so when you read this do ring 020 7602 0304 to place your orders. Supplies are always soon exhausted. Our Christmas card this year of the new café yard, by Catherine Masterman, shows how it will look once it has settled in and is attractive in its own right. We will hold a ready supply of these cards in both the standard 152 mm x 197 mm format at £9.50 per pack of ten, and the small 118 mm x 168 mm at £8.00. We will also make up mixed packs of ten old designs of Holland Park at £6.50, which will be very largely of big ones in 4 or 5 different designs. Delivery by hand to local postcodes is free, but beyond that we have to charge an additional £1.70 per pack of large or mixed cards and £1.40 for small cards. All cards will have the standard greeting ‘With best wishes for Christmas and the New Year’. Do avoid that last minute panic. You will just be in time to book for our musical event heralding Christmas: our concert of carols sung by The Tallis Chamber Choir, conducted by Philip Simms, and you the audience, of course. Do not forget the seasonal, and often amusing, readings to go with it, all rounded off by Janice Miles’s mouth-watering canapés and a glass of wine or two to follow. Tickets are £22. Kids can be Holland Park Detectives! Children can imagine they are Holland Park detectives, spotting things in the park and putting a tick against the pictures on the specially designed activity sheet. When they have found as many as they can, they can come and claim their Holland Park Detective badge from the Friends of Holland Park desk in the Café Yard. Join in or just drop by and have a chat. Please mention this to any of your friends and family who are not members of the Friends. You do not have to be a member to join in the fun, and it is free. The Friends will be there from 10.30 a.m. to 4.00 p.m., with kids’ activity sheets (free) to hand out, information on the park, and copies of the Children’s Guide to Exploring Holland Park for sale. The guide is packed with fabulous things to discover, interesting facts and lots of fun activities. At 36 pages it will provide many hours of happy occupation, and all for only £5. Buy it at the Friends’ desk on 23 October, or order a copy from our secretary, Rhoddy Wood, Tel. 020 7602 0304 / rhoddy.wood@virgin.net, or order it here. The bird-ringing demonstration is a great opportunity to see some of Holland Park’s birds close up. Once a bird has been safely caught in a mist net, a specially trained ringer will hold the bird gently to show detail of the markings, wing feathers and how the ring is painlessly attached. The bird’s size and weight are logged, along with the number on the ring, allowing useful information to be tracked on each ringed bird. Drop in to Holland Park’s Wildlife Enclosure in the north of the park from 7.00 a.m. to 11.00 a.m. Bring the children: this event, which is sponsored by The Friends, is great for all ages. All FHP events in the diary are printed in bold. The Friends’ Nature Walks (NW) are continuing to be led by varying regulars who have the requisite skills and commitment. We will have a one-and-a-half-hour stroll through the park looking at birds, plants, butterflies and park management of current interest. There is no charge, and all are welcome without booking. Meet outside the Stable Yard at 9am on the first Saturday of each month. No dogs, please, as even well behaved ones on leads disturb the wildlife. We recommend you bring binoculars if you can. The Ecology team have, yet again, planned an exciting programme of talks, walks and events for the year ahead, all aimed at encouraging children and adults to explore and understand the natural world we are lucky enough to have around us in Holland Park. In order that the events can be free for participants, The Friends will continue to sponsor the walks and talks that are led by independent experts in their field and ensure their costs are covered. Events organised by the Ecology Service of RBKC are listed as ‘ES’; where FHP have sponsored them, this is indicated. Unless otherwise stated, the meeting place is in the Ecology Centre near the Adventure Playground. Some must be booked, in which case please call 020 7938 8186 or e-mail ecology.centre@rbkc.gov.uk. There is a charge for those marked £. Holland Park Conservation Volunteer days (for adults) are every third Saturday of the month from 10.30am to 3.30pm; meet outside the café. No specialist skills are required, and this is your chance to make new friends while getting healthy outdoor exercise: digging, chopping and planting in the wilder parts of the park. Tea, gloves, tools and instructions provided. Wear sturdy shoes and old clothes, and bring waterproofs and your lunch. For further information from the Ecology Team visit www.rbkc.gov.uk/ecology, call 020 7938 8186 or e-mail ecology.centre@rbkc.gov.uk. The Friends’ AGM was held on 18 April 2018. President, Sir Angus Stirling, welcomed those present and the minutes of the 2017 meeting were approved. • The year had been one of messy works in the park, being improvements to the historic buildings. • The enhancement of the Holland House terrace, approach road and the Café Yard had started in September. • Rainwater management work had been carried out in the west of the park. • The Friends had contributed to the Council’s Holland Park Conservation Area Appraisal, which describes the essence of the park as a statement of what aspects need to be protected and maintained. • Grants to the park included replanting of the Mediterranean Bed in the Dutch Garden, the second stage of the proactive tree health programme, Ecology Centre walks and talks, and a map of Holland Park. Silvi Spassov gave the Treasurer’s Report for 2017. The balance for the financial year 2017 was £97,795: up on 2016 due to funding expenditure projects being postponed to 2018 and to exceptionally high income from donations (£86,470). 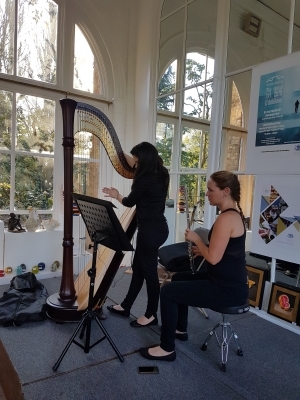 Events income had been £19,315 in 2017, compared with £12,160 in 2016, largely due to healthy sales at our art exhibition. The events surplus had risen from £3,529 in 2016 to £4,226 in 2017. The full accounts had been circulated in the spring 2018 newsletter. The Secretary’s Report was delivered by Rhoddy Wood, who said that membership stood at 1,016, higher than the same time last year. Payment via The Friends’ website was helping to increase membership, though the number of members signing up for Gift Aid had declined. Gift Aid was important as it resulted in an additional 25% tax refund on the cost of each subscription or donation paid by a signed-up member. Mrs Wood thanked all those who kindly help deliver the newsletters. Election of the trustees. Silvi Spassov was elected as a trustee. All other trustees had agreed to stand again and were duly re-elected. Chairman’s Outlook for 2018. Chairman, Jennie Kettlewell, emphasised that, after a year of messy works, the built assets of the park are now in better shape, with the exception of Grade-1-listed Holland House. Opera Holland Park had obtained consent for their buildings for the next three years. Written into that consent was the fact that OHP would work with The Friends and other stakeholders to see what could be done to shorten the time taken for the ancillary buildings to be cleared, and for the terrace to be open to the public earlier than in former years. She thanked Nicholas Hopkins for his tireless work to enable payment through The Friends’ website, the trustees for the staggering amount they achieved each year, and Sir Angus Stirling for his wise advice and reassurance. There were some interesting questions from members, which we are making sure we address. Much has happened since the AGM in mid-April; see News Update below. It felt like a summer’s evening in The Orangery on 20 April: the sun was shining, the air was warm, the children and peacocks were crying out merrily across the lawn. Inside was the glittering display of glass, ceramics, bronze sculptures, not to mention the screens against both walls covered with art works of the highest standard, a standard which we have come to expect of our annual art exhibition. The browsers had been put to one side to make space for chairs, for this was our concert night, this time blessed with the delightful combination of flautist and harpist, a duo known as Heavenly Duets, normally made up of Anne Allen (flute) and Cecily Beer (harp), but Cecily having that morning been taken ill, Portuguese-born Zita Silva replaced her at a few hours’ notice, giving us a highly accomplished performance without a pluck out of place. Anne Allen’s flute playing was beautifully expressive: one could hear at once in the opening piece, the second movement of Mozart’s Flute and Harp Concerto, how much she loved what she was playing. We were treated to more classical music, by Saint-Saëns, Massenet, Debussy and the French harpist, Marcel Tournier, before Mike Abrams stood up from the audience to tell us about his composition, Suite in the Old Style, of which we were to hear the world première. He reassured us that, as the title suggested, this was not going to be in the style of a composer like Stockhausen; indeed, the three movements were perfectly accessible and a great pleasure to hear. The second half took on a lighter mood, with British folksong arrangements, Mancini’s Moon River and Gershwin’s Embraceable You. Instead of the billed Entr’acte by Ibert, the concert was rounded off with Lord Henry Somerset’s A Song of Sleep. Anne read out the poem, also written by the composer, assuring us that, in this cruel world, sleep is a great consoler. Despite this soothing finale, the audience did not fall asleep but helped to remove the chairs in order to make way for wine and Janice Miles’s delicious canapés. After founding the chocolatier business in 2000, Gerard Coleman is still hands-on in the production atelier so that he can focus full attention on finding the finest ingredients, and on quality, which is his passion. In the shops it is the aroma that first strikes you, then the wonderful display of irresistible chocolate. Go on, treat yourself! And do try their hot chocolate drink as you won’t have experienced anything quite so indulgent before. Offer: 25% discount on all in-store purchases. We are very pleased to announce that the newest branch of Jeroboams is the latest local business to join our Friends & Neighbours scheme. The store offers a wide choice of wines both classic and from lesser-known interesting producers. There is a selection of spirits, some of which you might not find easily elsewhere. Do visit soon and ask manager, Philippe Berthome, to suggest some summer drinking. They also provide glasses and ice, delivered with your drinks for your summer parties. Jeroboams fine food and wines in Holland Park has been with us since we launched our programme. 254 Kensington High Street, London W8 6ND. t. 020 7348 0644. Holland Park has a long history of growing glorious camellias. This June it added Camellia sinensis, the plant that produces tea. Our speaker, Jonathon Jones, knows all about camellias and tea, because he established the first British tea plantation at the Tregothnan Estate in Cornwall. Tickets are £18, to include Janice Miles’ delicious canapés, wine, and we might even get a tea cocktail! 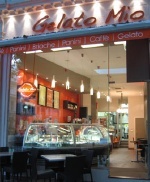 Gelato Mio’s aim is to bring real Italian Gelato to London, preparing all the gelato themselves with natural, uncomplicated recipes, fresh ingredients and traditional Italian recipes. The Holland Park shop was the first Gelato Mio to open in London, built to an Italian design and offering a real feel of Italy with a range of authentic Italian coffee, panini and patisserie. Sat 8 Sept ES. Holland Park storytelling walk (families with children over 5 years). You are now able to make payments to The Friends of Holland Park directly from this website. Payments may be made for new membership, renewing membership, event tickets, art exhibition entries and merchandise. Payment is made through PayPal, but you are not required to have a PayPal account; you can make payment from your debit or credit card. It is no longer possible to download an order form from this website and pay by cheque. We apologise if this is an inconvenience for you, but it makes good sense for The Friends administratively. Paid-up members will still receive an order form with their quarterly newsletters. If you have any problems, please contact Rhoddy Wood on 020 7602 0304 or Rhoddy.wood@virgin.net. Those of you who use your membership cards to receive discounts when shopping with some of our Friends & Neighbours, might have noticed that the end of February is when your card expires. A new green one is enclosed with your Spring newsletter if our records show you as having paid your subscription for 2018. All subscriptions were due on 1 January except for those who joined after 1 September 2017. If we think you have not yet paid, there will be no membership card and your enclosed order form will be green, with a standing order form on the back. Over 600 of our members use standing orders, as it means they never have to remember again, and it helps our treasurer too. There is now a further choice of method to pay which is to pay online via this website, paying with your credit/debit card or by PayPal. This avoids the hassle and expense of finding an envelope, cheque and stamp, but cannot be combined with a standing order. You can, however, click on a very obvious yellow button if you want to add a further donation, as some of our members do. Current minimum rates are £12 or £9 for the over 65s, with joint subscriptions available for two people at the same address for £20, or £15 where both are over 65. You will agree these are very modest sums, but we keep them low to enable all to join. Our records are not infallible, so do contact Rhoddy on 020 7602 0304 or rhoddy.wood@virgin.net if you have a query. However you pay, we are most grateful for your support as it gives us clout in all our dealing with the Borough and other bodies. There was a good audience on the 10 December in the Orangery for the 18th visit by the Tallis Chamber Choir and their conductor, Philip Simms. With the wide range of carols, in terms of both period and nationality, beautifully performed, and the wonderful food provided by Janice Miles, it was a great way to start the Christmas season. We began with Cantate Domino by Claudio Monteverdi (1567-1643), one of four motets published in 1620 in Libro Primo di Motetti; the text is liberally adapted from Psalm 98 in a distinctive madrigal style, with give and take between the six parts. There followed a jolly contemporary carol, Blessed be that maid Marie, by Gareth Treseder, a Welsh tenor and composer and former member of the Kings’ Singers. We then had the Coventry Carol, Lully Lulla Lullay, a carol dating from the 16th century in a setting by Philip Stopford (b.1977), which is lilting, solemn and hymn-like. This was followed by another contemporary work, The Shepherd’s Carol, a setting of a poem written by Clive Sansom (1910-81) composed by Bob Chilcott (b.1955), another former King’s Singer, with a melody of lovely folk-like simplicity. We finished the first half with Philip Simms’ own arrangement of Have yourself a merry little Christmas. After the interval we started with Ring Christmas bells by the Ukrainian composer Mykola Leontovych (1877-1921) with a rhythmic melody imitating bells. This was followed by Here is the little door by Herbert Howells (1892–1983), composed in 1918 with a solemn, hymn-like melody. Then came The three kings by the German composer, Peter Cornelius (1824-74), for choir with a baritone solo, sung by Philip Simms’ 16-year-old grandson. What shall I give to the Child in the manger?, which followed, was a Spanish carol with no attributable composer, with rhythms suggesting the folk drums that accompanied many Spanish carols. We then had Stars by the Latvian composer, Eriks Esenvalds (b.1977), an atonal piece with many dissonances, nevertheless accessible and very representative of modern choral harmonic style. There followed Quem vidistis, a 17th-century text in a setting by Francis Poulenc (1899-1963) in a style following Maurice Ravel, which blends simplicity with sophistication. Finally we had the two parts of the Cherubic Hymn by Sergei Rachmaninov (1873-1943), which form part of the Liturgy of St John Chrysostom, composed in 1910 in classic Russian Orthodox religious style. The carols in the first half of the concert were interspersed with the usual humorous readings, and two carols sung by the audience. The second half consisted of the reading of the Russian Christmas legend of Babushka, interspersed with the carols listed in the last paragraph, as well as two more for the audience. 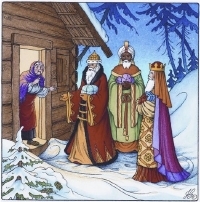 Babushka was a lonely old woman living in a beautifully kept house, who invited three wise men to take rest in it, but declined their invitation to follow the star with them to find ‘the child who is born to be King’. Later she changed her mind and set off to find the child, taking with her toys to present to him. Asking people as she went, she followed the way of the wise men to Bethlehem, but he and his family had already fled to safety. Legend has it that she is still searching to this day and, whenever she meets any children, she gives them toys. We are very pleased to announce that the restaurant ULI, in Notting Hill Gate, is the latest local business to join our Friends & Neighbours scheme. The restaurant serves carefully selected dishes from Asia, prepared using traditional Chinese, Thai, Malay and Singaporean disciplines. They believe that Asian food should be clean, fresh and healthy. Originally established on All Saints Road in 1997, ULI became a firm favourite among locals and critics alike. At its new home on Ladbroke Road, its pretty terrace forms part of the vibrant local scene. ULI serves lunch and dinner all week as well as an extensive range of snacks, cocktails and beverages. Please do visit them soon. Offer: 10% discount on meals in the restaurant. We again have to thank Michael Volpe, General Director of Opera Holland Park, for kindly allowing us to use the marquee on the raised terrace to the east of the Dutch Garden for our annual summer party. We hope for better weather than last year, but even if it does rain, who cares? We will be perfectly protected. This is our one event of the year that is only open to Friends and their immediate guests, but not to the general public. Pimm’s, soft drinks and canapés will be served. Tickets are £18 each. Conservation of Holland House is well overdue, considering the schedule set out in the Conservation Management Plan for the Grade-1-listed building. We understand the inspection commissioned by RBKC has taken place but have seen no report or indication of the state of the building, the work required or when that work will be done. Historic England has visited the building, has said it is clearly vulnerable, and is pressing RBKC for a response to the concerns they have raised. We wait to see whether prompt action is taken, as it really should not be necessary for the building to be included on the At Risk register once again. The damage has not been caused by the landscaping works, which are restricted to the ground level. The landscaping work around Grade-1-listed Holland House and café yard is an enormous undertaking and certainly not without its challenges. The surface works look relatively simple, but the real challenge has been what was found under the terrace. As I write, the granite, porphyry and other paving are being placed on the terrace, and the soft colours work well with the brick and stone of the house. The access ramp is in place south of the hostel car park, and the huge drainage tank lies invisibly beneath the terrace surface. The handover to Opera Holland Park will be in mid-March, and we will have to wait until the end of September to see the full beauty of the work. In the last issue of the newsletter, we showed the design for new gates intended to go between the stone piers in front of Holland House. RBKC Planning wish to have further discussion about the historic context for the design, and the Planning and Listed Building applications have been withdrawn until this has taken place. We will keep you in touch with progress. You might remember that the area of woodland immediately to the north of the Ecology Centre was, for a time, open to children as a place to play in a natural environment. It was so successful that the sheer number of little feet compacted the soil, wore away the ground cover, and there was some minor damage to the trees. The space was closed to give the area a chance to recover so that the wildlife could return to a more welcoming habitat. The compaction has proved challenging and needs some help. Leanne Brisland, Borough Head of Ecology, together with the Friends, has developed a plan, which involves hand de-compaction, tree planting and a native hedge. The area, once sufficiently robust, will again be open for groups of children under supervision to learn about nature. A path will lead from the entrance to the ‘classroom’, which will be fashioned from live willow ‘furniture’. The main work on the exterior of the Belvedere is finished, but the tower is still under scaffolding. The delay is due to a significant beam being placed in a way that makes the permitted duct work impossible. A new scheme has been submitted, approval granted, and the work should soon be completed. Those of you who know Holland Park will appreciate what a wonderful place it is, but it is vulnerable. Competing demands are constantly made on the park and the danger is that the precious features are lost and the wildlife diminished. How much do you care about protecting it for the future? 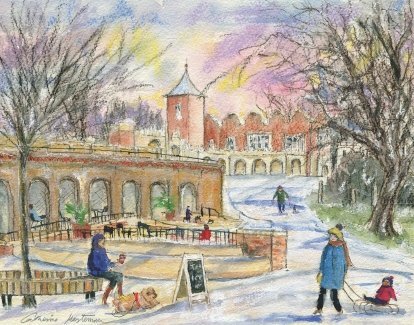 The Friends of Holland Park work hard to preserve the Park’s natural and historic assets, while still ensuring space for the many activities that appeal to Park users. We work with Councillors, Park Management, developers and others to influence impact on the Park. If you care about the future of Holland Park, you can help. When you join The Friends your subscription supports funding of our work and you add your voice to that of over 1000 members when we discuss the effect of major developments and plans for the Park. We love it when our members play an active role, but many are busy people and just joining will increase the Friends’ ability to influence what matters in the Park. • A full-colour quarterly newsletter, with news updates, informative articles on the park, details of events and more. • A membership card that entitles you to discounts at local retailers participating in our ‘Friends & Neighbours’ scheme. See current list below. Always intending to join doesn’t help. Joining does! Application forms are obtainable from the Park Office, Rhoddy Wood on 020 7602 0304.